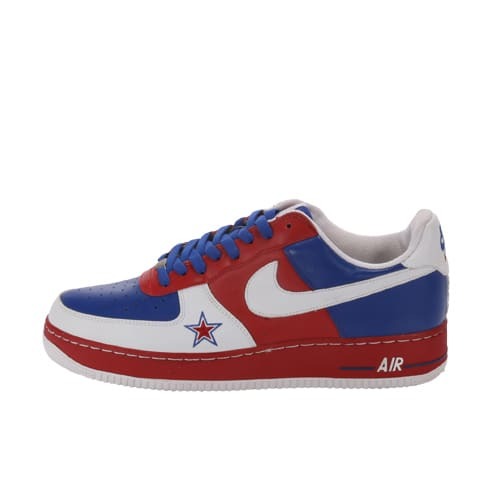 Nike Air Force 1 "Houston All-Star (Red/White/Blue)"
"I remember seeing some girl with these on in SoHo. I peeped and wanted them immediately. I called around and got them for a couple hundred dollars. The quality wasn't that good on them, it was GR material."